Whether you need time to re-think your personal path or infuse purpose into your workplace, Wayfinder workshops will help guide you. 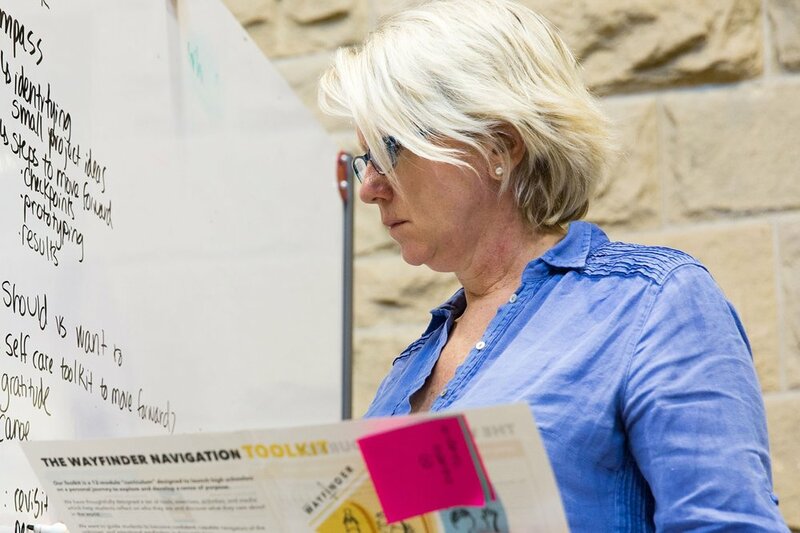 I felt a renewed connection to my work and left with frameworks, guiding questions and tools that allowed me to implement meaningful exercises with my team. Purpose-oriented employees are 50% more likely to be in the top positions, experience more meaning and growth, and stay longer in their organizations. They also exhibit greater levels of well-being, flourishing, resilience, and life satisfaction, and report more meaningful relationships with coworkers and clients. In addition, a Harvard Business Review report (2015) found that purpose-driven organizations make more money, are more innovative, and have more loyal employees and customers. Having purpose means working toward something that meaningfully contributes to the world and matters deeply to you. There has never been a more critical time for people to connect with their purpose: more than 70% of people in the U.S. report being unfulfilled and disengaged at work. 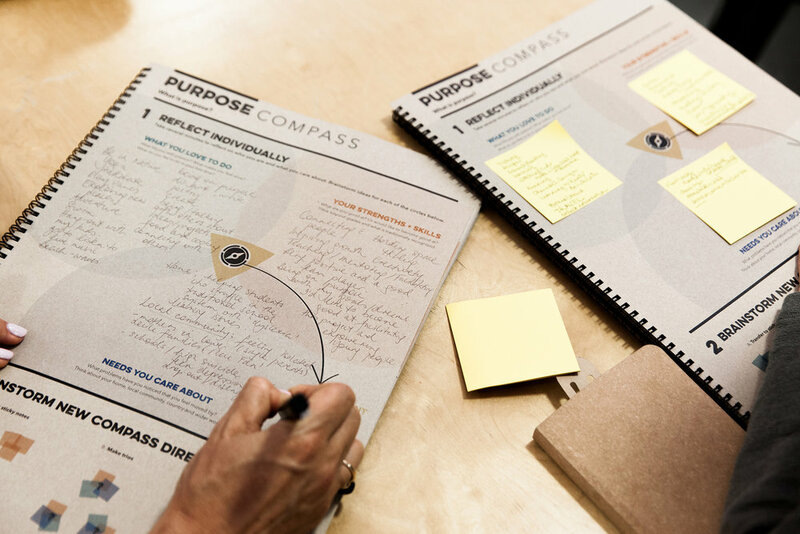 Founded at Stanford University’s d.school, Project Wayfinder works with organizations to equip their people with tools to develop greater purpose and meaning in their lives. 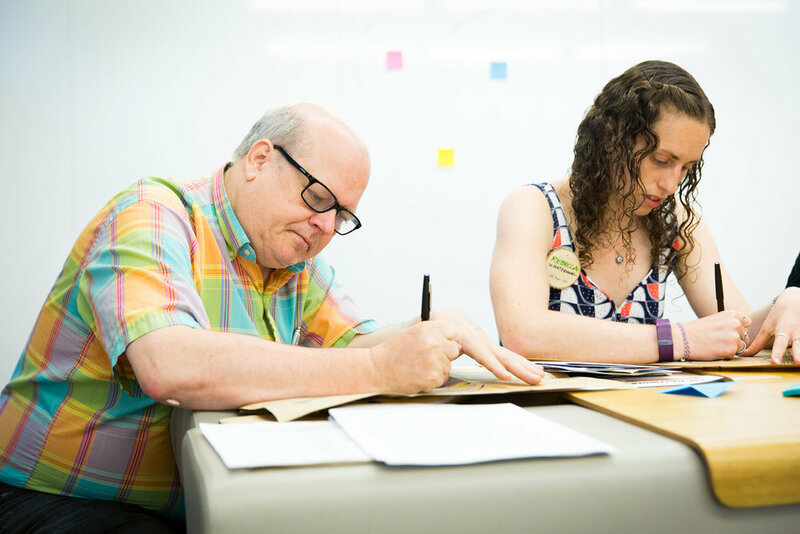 We offer a range of company-wide, team-specific, and executive purpose learning programs, ranging from hour-long workshops to multi-day sessions. 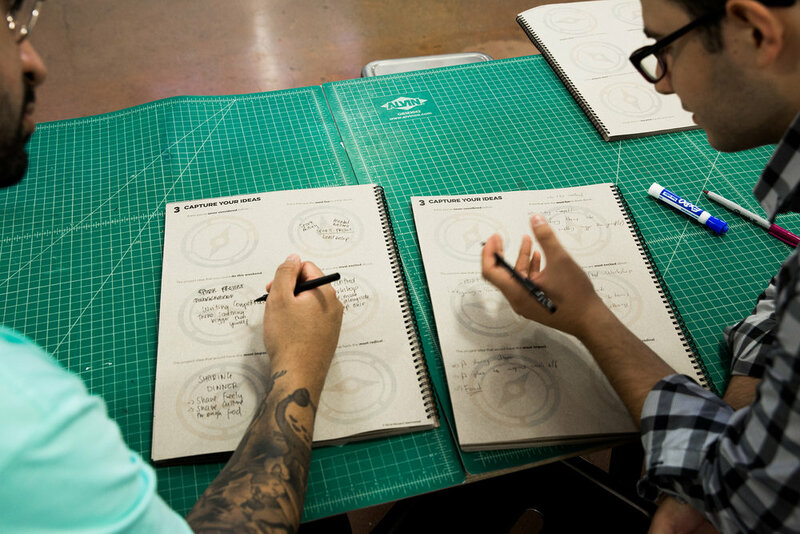 Our highly experiential and interactive workshops build upon cutting-edge academic research and principles from human-centered design. We draw upon practices of wayfinding navigation traditions as a metaphor for wayfinding life with purpose. Increase fulfillment and engagement by connecting to the impact of your work. Identify your values and explore what it means to live a purpose-oriented life. Develop a sense of belonging in the workplace. Learn about what matters to your colleagues by sharing a purpose learning experience. Leave with tools to support ongoing purpose development. Take actionable steps to integrate purpose into your workplace and personal life.